Repre­sen­ta­tives from BS Stainless will be at the WIRE 2018 expo and trade fair in Dusseldorf last week. It was great to have so many visitors drop by and meet us in Hall 14 at stand B59. We had hundreds if not thousands of visitors even if our stainless steel wolf did steal the limelight. As wire is most definitely the subject of the moment, here is some information on three types supplied by BS Stainless. 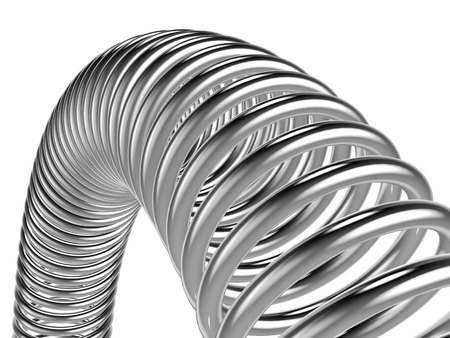 We supply a large and ever-increasing selection of spring wire from stock. All of the many available choices are cold-drawn to precision tolerances in accordance with EN10270-3 specifi­cations, offering truly consistent quality across the board. 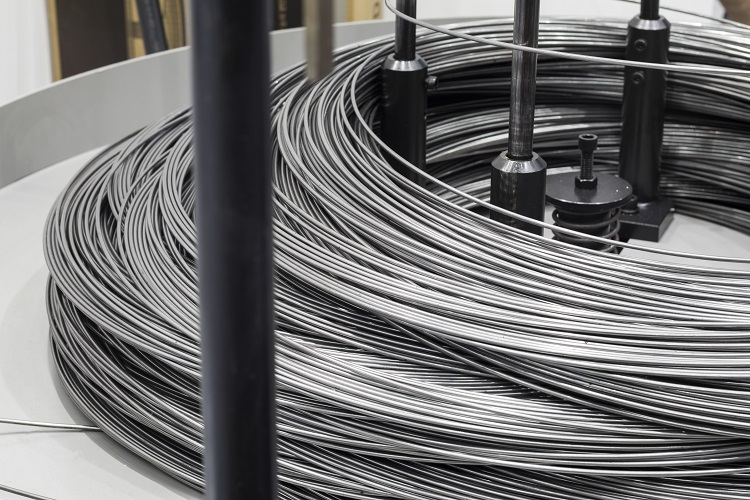 Every last metre of spring wire is guaranteed to provide a high tensile strength and elasticity, along with superb cast and helix charac­te­ristics. Highly resistant to fatigue, our spring wire is supplied with a standard soap coating to maximise efficiency when used in spring forming machines; if this coating is not required, the wire is supplied with a bright, aesthe­tic­ally-attractive finish. For small diameters of wire, a nickel coating can be applied. There are literally thousands of applications for which forming wire is suitable. BS Stainless supply this versatile product is available in large quantities from stock and can be tailored to exactly meet customer requirements. Tough yet pliable, forming wire can be supplied in a range of finishes including bright, dull and EPQ (Electro-Polishing Quality). The product can be given a selection of coatings to suit individual applications and is available in a comprehensive selection of profile shapes and strands. 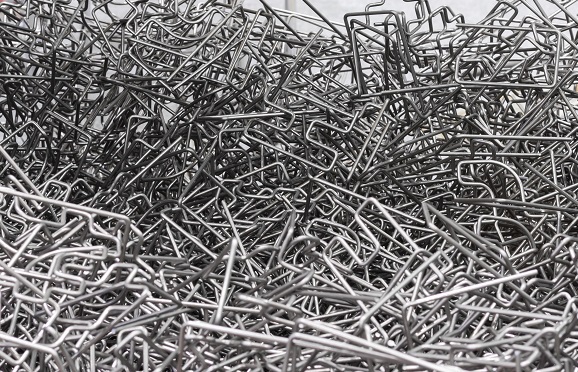 Specially processed to combine ductility and strength with formability, this wire is perfect for manufacturing many different types of components from bolts, nails and screws to rivets, tie rods and studs. With excellent corrosion resistance and low magnetism, cold heading wire from BS Stainless can be coated with soap, copper or a range of other metallics. Please do not hesitate to contact our expert technical team for more information on these different types of wire.